Composer and Zs guitarist, Patrick Higgins, lovingly embraces the work of Johann Sebastian Bach with arrangements for classical guitar that also reflect his penchant for experimentalism. Bachanalia is as much about the future as it is the past. Recorded in churches with vintage microphones, then processed and subtly manipulated, the tracks bear both the organic acoustics of nylon strings in a cavernous room and a digital touch to expand the sound without getting in the way. The true star, as it should be, is Higgins, whose passionate renditions betray a true love for the work being performed. His utter joy at performing these pieces comes out in respectful, elegant tones. He’s not robotically reading sheet music, he’s feeling every note with grace and humility, transforming Bach’s compositions into his own as he brings them to the twenty-first century for the tech generation to discover. It’s archaically modern, an anachronism that makes sense in a world of downloading, streaming and apps. 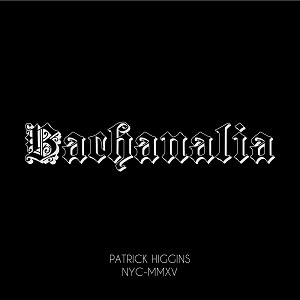 Years from now, Patrick Higgins will be called a legend and Bachanalia a masterpiece. 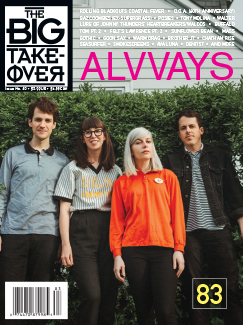 Get into it now before the rest of the world catches up.